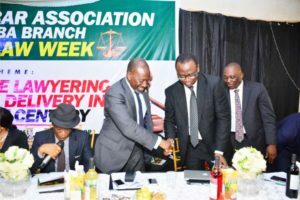 First, I would like to thank the members of the Nigerian Bar Association, Asaba Branch and, in particular, the Chairman, My Learned Friend C.F. Ebu, Esq. and other members of the Executive Committee of the NBA Asaba Branch for the invitation to give this keynote address. 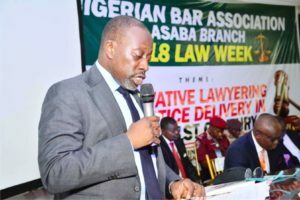 It is my distinct pleasure to be here today not only to give this keynote address but, indeed, to participate in the Asaba Branch 2018 Law Week! The topic that I have been asked to discuss is entitled: “Innovative Lawyering & Justice Delivery in the 21st Century.” At the outset, I must indeed commend the organizers of the 2018 Law Week for the well-considered subject, which is very topical as it straddles both: [A] the challenges facing legal practitioners in terms of: (i) “encroachment” by other professionals into our practice; (ii) commoditization of certain areas of practice; (iii) clients being increasingly reluctant to pay for legal services that they consider more as support as opposed to cerebral; and: [B] the vast opportunities presented through: (iv) technology as a means of service delivery; and (v) specialization. Thus, we have a very bright future in the profession even though the five  factors that I have identified highlight some of the “disruptions” in our profession; they indeed also provide unique or, as more aptly put by the organizers of this program, opportunities to be innovative in justice delivery. I would like to quickly deal with the first issue I identified, which is what I have described as “encroachment” by other professionals. You will note that I have chosen my description very carefully – I did not say unauthorized practice of law. There are certain entities known as Multidisciplinary Professional Services Networks (“MPSN”). Succinctly stated, these are very large organizations that provide a variety of professional and consulting services. And, broadly stated, these organizations engage in providing law related services in various forms. Quite obviously, they would not dare to seek audience in court, so for many, the threat is not readily apparent. However, it is there. More specifically, these entities provide services which are law related in the areas of: (i) tax, (ii) insurance, (iii) immigration, (iv) intellectual property and (iv) employment. Notably, what curbed their initial aggressive foray into the law sphere was the Enron catastrophe, which resulted in the advent of the Sarbanes-Oxley regime, and its corporate governance prohibitions, particularly with respect to conflict of interest dealings, causing such firms to discontinue providing certain law related services. On-Line Providers of Legal Services: There are numerous on-line providers of legal services. Some of the internationally well-known ones include: (i) Legal Zoom; (ii) Rocket Lawyer; (iii) US Legal; (iv) CorpNet; (v) Legal Shield; (vi) Public Legal; (vii) Smart Legal Forms; (viii) Find Legal Forms; (ix) Legis One; and (x) Presto Experts. 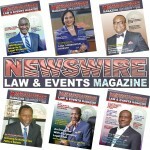 In Nigeria, there is a well-known one called “Law Padi”, with legal inquiries to be directed to contact@lawpadi.com. I have categorized these on-line service providers as “encroachers” because, often times, they are business enterprises in many instances not run by lawyers. Furthermore, their real sources of revenues are through advertising and internet traffic to their websites as opposed to payment for actual legal advice or information received by users of their services. COMMODITIZATION: What do I mean by this? Simply put, it refers to those tasks that I broadly describe as “repetitive” and “standardized” and do not necessarily require cerebral exertion. With all due respect, these would include routine incorporation of companies; appointment and removal of directors; increase in share capital; and the like. A perfect illustration of these tasks being commoditized is demonstrated by the fact that these are some of the key areas in which on-line service providers provide free legal advice, as well as templates/forms for accomplishing these tasks. LEGAL SUPPORT: This is an emerging area in these parts. Generally, clients are becoming increasingly reluctant to pay standard professional fees for work considered as legal support. This is especially the case in the area of litigation, which often requires the review of vast amounts of documents. Legal Assistants: In large international firms, these very important aspect of litigation is done by Legal Assistants, who often are not lawyers, but bright graduates who for various reasons do not intend to become lawyers and, in some cases, young very bright graduates who decide to work for a while before going to read law. The point here is that, these folks provide invaluable legal support for a fraction of the cost of lawyers. Some of the services that they provide include: (i) document review; (ii) case summaries; (iii) preparation of demonstrative evidence (“chalks”); and (iv) participating in mock trials before actual trials. Sitting on the right is Honourable Justice Samuel Oseji, JCA, Justice of the Court of Appeal, Benin Division; Standing: Seni Adio, SAN; Professor Adedeji Adekunle, SAN, Director-General, Nigerian Institute of Advanced Legal Studies; and by his 2nd left is Mr. Peter Mrakpor, Honourable Attorney-General of Delta State. 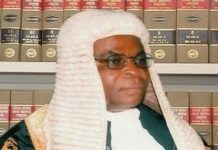 Technology as a Means of Justice [Service] Delivery: Here, I would like to focus predominantly on the public sector, although justice delivery is an eco-system comprising broadly speaking the public and private spheres of law practice. I am greatly encouraged by the presence of His Excellency, The Executive Governor of Delta State, His Excellency, Dr. Ifeanyi Okowa; The Chief Judge of Delta State, Hon. Justice Marshal Umukoro, CJ; and The Honourable Attorney General and Commissioner of Justice of Delta State, Mr. Peter Mrakpor. I say this because their buy-in is crucial in this area. Technology is transformational in terms of justice delivery – AND IT COSTS MONEY – that is part of the reason why I am gratified and encouraged by their presence. We are now in 2018! I practiced law in the United States of America for approximately 15 years and, primarily, in Boston, Massachusetts. I recall that in my law firm then, we had our first PAPERLESS TRIAL in the 1990s, that is, not a single piece of paper was handed in hard copy to the Court Clerk or Judge during trial. ALL THE DOCUMENTARY EVIDENCE were imaged and projected on TV monitors in the courtroom. Not only that, the oral examination by counsel and the testimonies of witnesses were also projected in real-time on the TV monitors, such that when a question was asked and there was an objection, the Court could see it or play it back in order to promptly make a ruling. Likewise, it could be rewound for the witness to read in case he feigned not hearing or understanding the question. THAT WAS IN THE 1990s! Telephonic conferences with Judges and Magistrate Judges to argue Emergency Applications. We could conduct those crucial legal tasks due to the use of TECHNOLOGY! Briefly, the mechanism worked based on each lawyer admitted to the Massachusetts Bar having: (i) a unique Board of Bar Overseers Number (“BBO Number”); and (ii) unique ID and User Name to log into the portal of the Massachusetts Superior Court (the State High Court). The same applied with respect to filings at the United States District Court for the District of Massachusetts (Federal High Court). These are some of the things that technology can do. THERE IS NO REASON WHY DELTA STATE CANNOT BE A PACE SETTER TO REVOLUTIONIZE JUSTICE DELIVERY. Reduction of costs: travel time; filing costs; staffing requirements; even decongestion of roads; etc. Reduction of mischief through human interventions in the Registry, such as failure to serve processes on time; “missing” processes; etc. Now, to be fair, I am very much aware that some of these initiatives have commenced with pilot programs at the Supreme Court. Lagos State is also in the process of automation. I know that nowadays, in my office, we often receive notifications via e-mail to come to the Court of Appeal to ensure that records are complete before the date scheduled for hearings. I believe that we sometimes also receive Hearing Notices via e-mail. In sum, we are making progress. However, it is too slow. Document Retention and Control: Being able to retain and control the production of documents for as long as required without having to worry about the degradation of same. This is a very significant benefit especially with respect to public documents, that is, court documents. 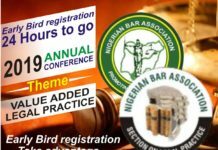 Development of Forms and Templates: This is particularly helpful to courts and legal practitioners and reduces the need to always re-invent the wheel. In the case of a legal practitioner for example and based on my personal experience, lawyers in a firm could have a shared drive where final versions of documents are saved with standardized descriptions of such documents. Thus, the next time a lawyer needs to file a MOTION FOR SUMMARY JUDGMENT or NO CASE SUBMISSION in a particular type of case he/she can search the data base for a template, which would contain, amongst other things, the legal standards; and locus classicus cases; etc. Exemplary welfare of Judges and Judicial Officers. SPECIALIZATION: I cannot over-state the importance of specialization in the context of innovation and justice delivery. With all due respect to all of us in this room, if a stranger were to ask you for your area of SPECIALIZATION, what would you say? And when you respond, would your response be completely accurate? The reality is that most practitioners are general practitioners. However, the practice of law has become GLOBAL AND BORDERLESS. Globalization of law practice is beyond my remit today, so I will pull back to specialization in the domestic context. Specialization is part and parcel of justice delivery because as Legal Practitioners, we have a duty to our clients to provide the best possible service that we can at all times. Indeed, I foresee the day that it would be tantamount to legal malpractice to take a brief in an area where a lawyer, no matter your seniority at the Bar, has little or no experience. That would not be justice delivery. Put another way, to do that would be to do grave injustice to a client. it would be wise to introspect as to whether you have the requisite subject matter experience for that case. That does not mean that must decline the case. You may have a colleague in chambers who has the requisite skill and substantive knowledge in which case you make ‘him or her’ a member of the defence team. Likewise, you could engage another lawyer as co-counsel, as often happens even amongst the largest international law firms. I subscribe as I am sure most of you do to at least one electronic law reporting service. I receive daily alerts of appellate decisions and I must confess I don’t read all of them, but occasionally I will see one that piques my attention and I will read it. 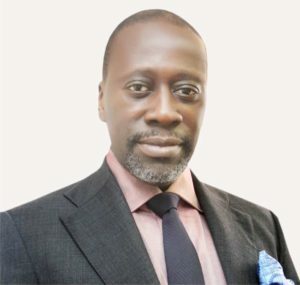 I believe the most recent one that piqued my interest is a case entitled: BRILA ENERGY LTD v. FRN (CA) (ratio is that a court may dispense with a certificate of authentication as provided under Section 84(4) of the Evidence Act when a computer generated document is tendered in evidence, where a person with personal knowledge of the proper functioning of the computer testifies as such – moreover, such a person need not be a computer expert, so long as he is familiar with the computer from which the document was printed). LAW360 – a LexisNexis Company: I receive daily alerts from this service in areas of interest, such as White-Collar Crime Defence, Products Liability, International Arbitration, and Consumer Protection. Essentially, what I am stating is that it behoves all of us to engage in continuing legal education (CLE). And, we don’t need to travel to get the information – we can get them on-line. That is part of the ingenuity of lawyering in the 21st Century. In closing, I have to admit that even what I have spent the past 20 minutes or thereabout presenting is borderline archaic – there is another phenomenon that we lawyers and our justice system have to deal with — ARTIFICIAL INTELLIGENCE – Scary, Isn’t it …..?? ?